Is it just me or the bb exp is weird ? Is it meant to be like this O_O? Are you around base level 153? your point is? 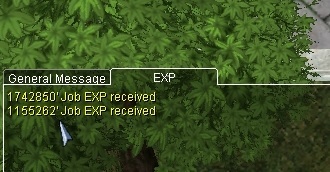 we all know that exp from quest is not affected by level penalty. I don't know if this is correct. I think the Jumping July Leveling event is bugged. I think it negatively affects characters with base levels of more than a 100. You should get 2,820,487.50 EXP if the Jumping event doesn't affect you but were short of 1,077,637.50 or -57.31% of base experience. Since [Character bLvl * 2] is unknown I'll assign "X"
I'm not sure. Maybe my calculations are wrong. Maybe Camp or Cinna can confirm this. Edited by IgnotusCarl, 12 July 2018 - 09:23 PM. Im lvl 150 :S any officials confirm this? Edited by SFever, 12 July 2018 - 09:40 PM. It looks like you are getting positive bonuses applied. So the EXP in iRO wiki Bounty Board pages are outdated? okay so wiki is wrong i see. Thanks for the confirmation camp! Ok. Thanks for confirming this. You wasted 1 hour doing this BB. Bio 3 isn’t good sadly. Edited by Haroichi, 13 July 2018 - 06:06 AM.